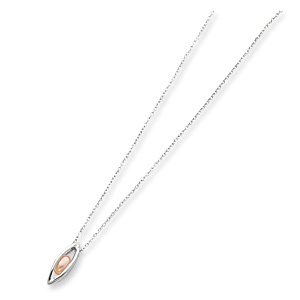 Floating small pink pearl pendant necklace is made of polished sterling silver. Necklace length: 18in. Weight: 2.38 grams. Lobster clasp. Pendant is 11/16 inches in length, about the size of a dime.